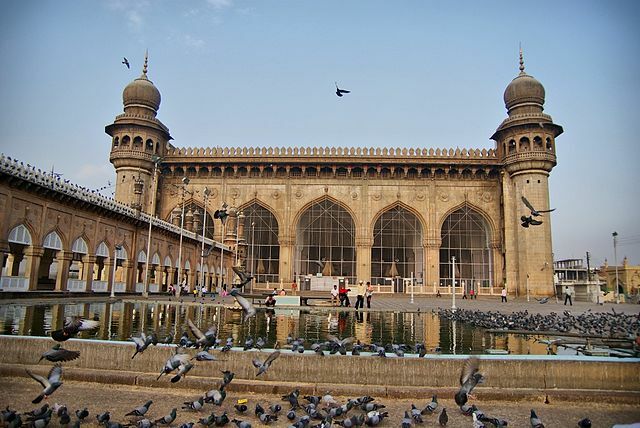 Mecca Masjid Mosque… This mosque is one of the biggest ones in the world and one of the oldest mosques in India. 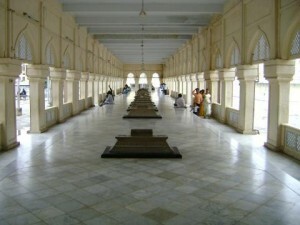 It is situated in the ancient city of Hyderabad, India. 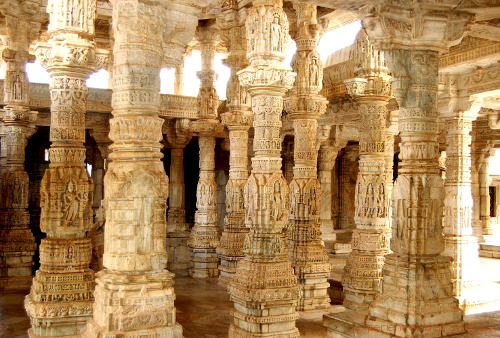 Its construction was begun in 14th century, during the rule of Muhammad Quli Qutab Shah. There is an entertaining legend that tells us of the following: when the first stone was to be laid into the foundation of the mosque the great ruler gathered the religious seniors and said that the one who never skipped the prayers will be granted the honor of starting the construction of this magnificent building. Still no one stepped forward, so the first stone was laid by the Sultan Muhammad himself, as starting form the age of twelve, he never skipped a single religious service. The construction took almost eighty years to complete, and it s considered that the mosque has enough room for 10000 of believers. It is remarkable that only one piece of granite was used to build the three façades with arches, and it took five years to deliver this single block to the construction site. The main hall’s roof is supported by fifteen arches. The arched gallery is situated between the minarets, which is a very fine decoration of the mosque. Inside the building, the tombs of the rulers of Asaf Jahi dynasty are situated. They are made of marble and are also worth having a look at. The whole building is adorned with minarets, which are circled by elegant and curved balconies with low walls with ornaments and arches. Giant arches and columns are made of pieces of whole black granite. The granite blocks were delivered from the stone quarry to the place of construction on dray-carts moved by 1400 young bulls. Some of the bricks of the central gates were brought from Mecca, and this fact gave the mosque its name. One of the travelers of the ancient times remembers in his travel notes that the construction site impressed him very much. At that time there were no machines to help the constructors, so a lot of physical force was to be applied. About six hundred people were constantly involved into the process of erecting this great structure. As you pass through the central gates you can see a spacious interior court with a large swimming-pool. According to the legend, the person who would sit on one of the seats around the swimming-pool will certainly return to Hyderabad at least once. It is also considered that one of the inner halls of the mosque stores a strand of hair of the prophet Muhammad. Many of the arches and columned structures are decorated with quotes from the holy Koran. It is also worth highlighting that time is relentless even to such great sites as Mecca Masjid Mosque. Unfortunately, the lack of maintenance, as well as increasing pollution, have done their black deed: the structure has cracked in several places. Still this place is high on the list of the world heritage sites, so the international community is very much worried about preserving it. 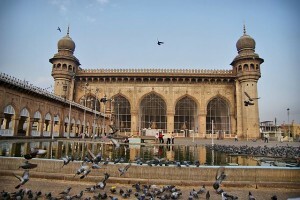 The Indian government is also making some steps towards the conservation of the site: for example, the area around the mosque was announced free from traffic in 2011.